I don’t go into the dollar store very often. If I do, there is usually something specific I’m looking for. Well, the other day I just so happened to be at the dollar store and was just impressed with the number of things that would be great for a classroom! I started taking pictures and thought I would share! 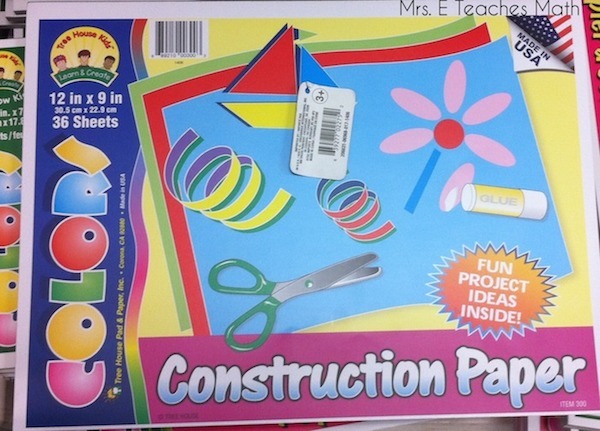 Construction Paper - I love construction paper for my proofs cut-out activities. There are so many great uses for construction paper, even in high school classes. 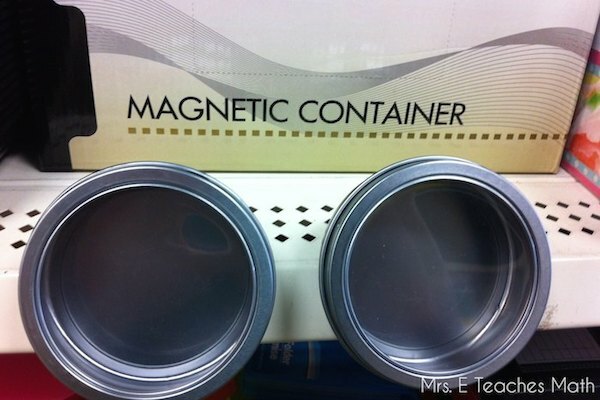 Magnetic Containers - How cool are these?! My whiteboard is magnetic. 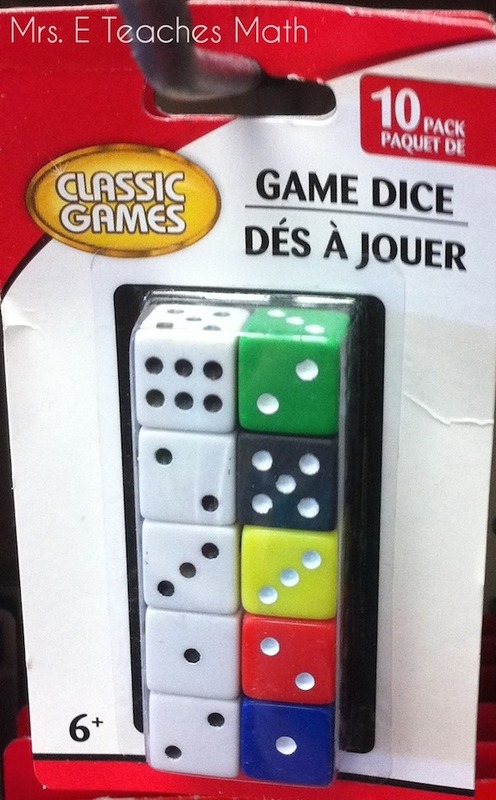 These would be so cool to hold little things and just stick on the board. They would also stick well on file cabinets. 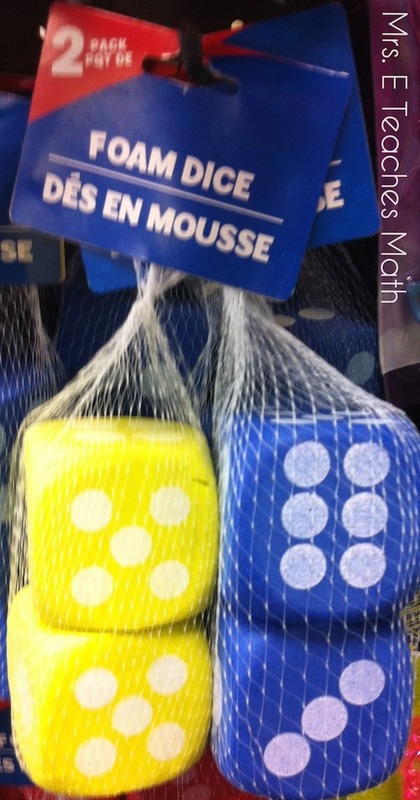 Foam Dice - These are just cool. It could get expensive if you needed a bunch, but think how quiet they would be! Playing Cards - I have several decks of playing cards right now, but they were all $1 each. 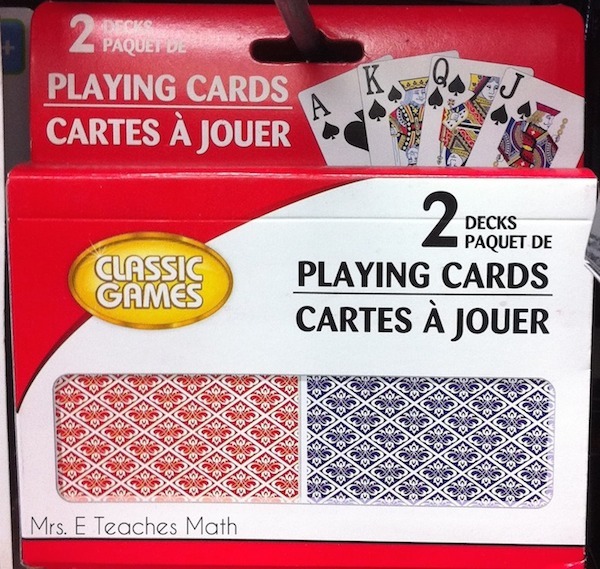 2 decks for $1? I can do that. 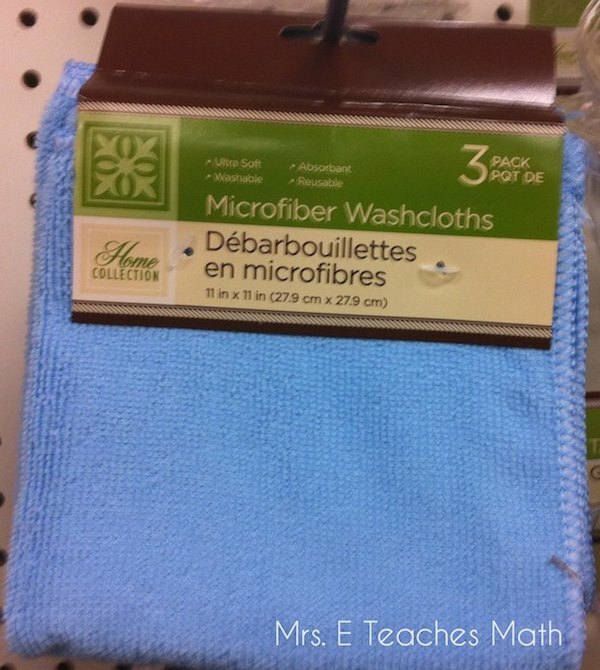 Microfiber Towels - I use microfiber towels to clean my whiteboard. They are the very best. When they get dirty, I just bring them home and run them through the washer and they’re as good as new! They do stain pretty bad, but they’re just for cleaning the board, so I don’t care. 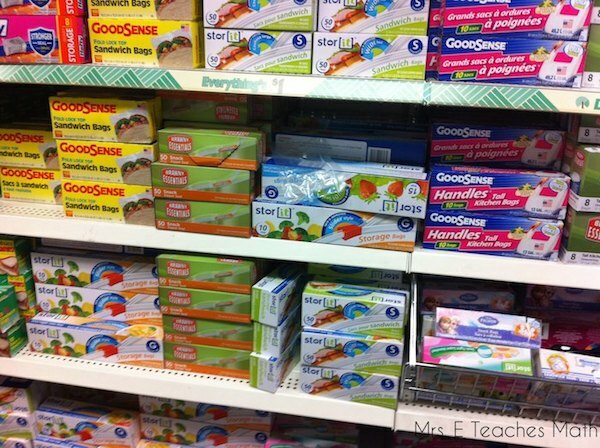 Plastic Baggies - I’ve used gobs of plastic baggies in my teaching career. I put all of my sets of matching cards, task cards, and everything in plastic baggies. My kids wreck the bags over time, so I don’t want to spend a lot. I prefer the bags that fold over. That way I can press them down to squeeze the air out without unzipping the bags. 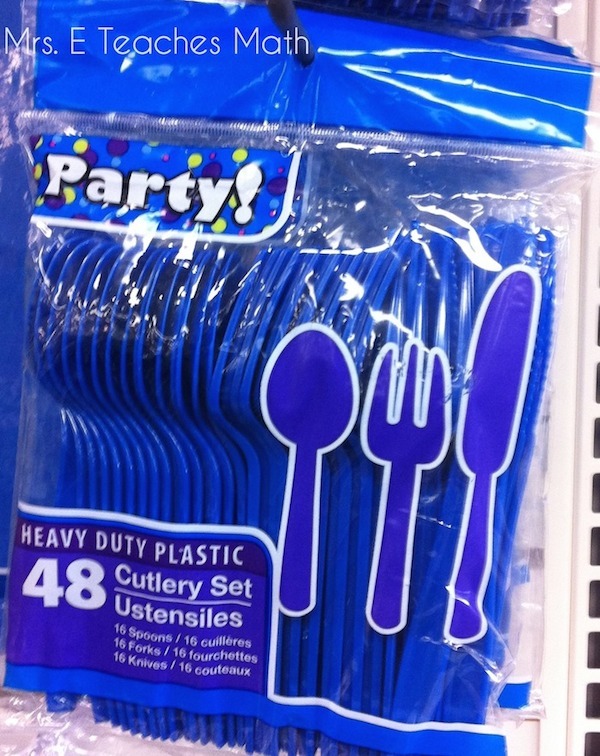 Plastic Silverware - I saw this post awhile back about taping spoons to pencils to prevent them from “walking off”. Cheap plasticware would be great to use. They had all kinds of cool colors! Zip Ties - Organize any cords in you classroom with zip ties. There are tons in the package, so you could use them for years. Scissors - I have a class set of scissors that I purchased from the dollar store. When I was buying scissors, I couldn't afford to buy the fancy ones that are $3 or more per pair. I bought them for $1 each from the dollar store and they’re great! 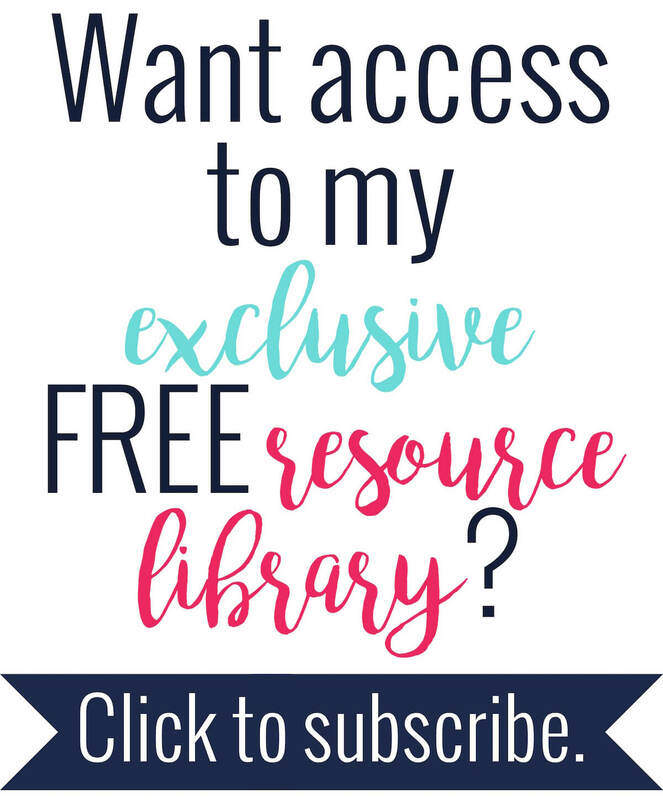 This would be an especially good buy if you use interactive notebooks. 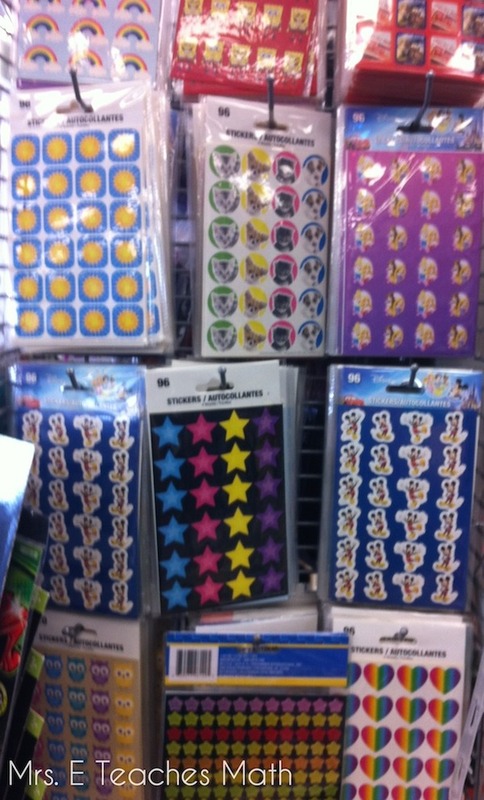 Stickers - This was the whole reason I stopped at the dollar store. Whenever my students make an A on a test or quiz, I put a sticker on it. 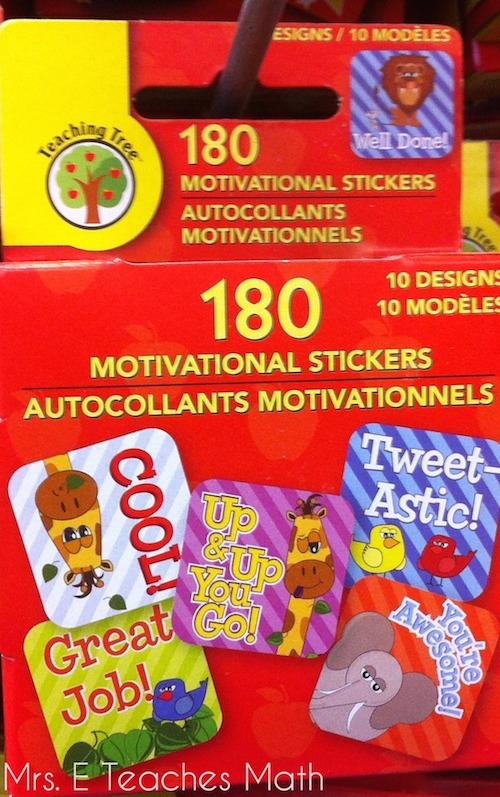 My kids love getting stickers :) Target Dollar Spot usually has good stickers around back to school time as well. I bought these :) For some reason, I think they are SO funny! Dollar Tree gets my vote! 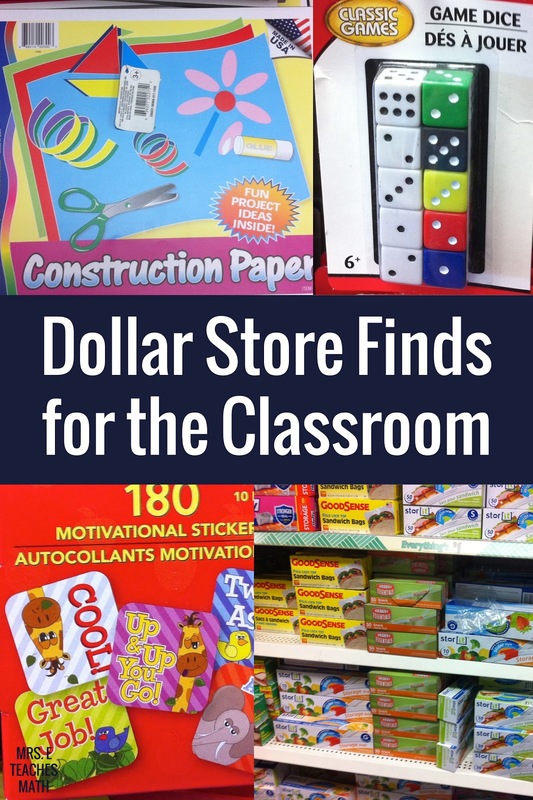 I agree with Brittany, love the dollar store!